Students experience the Aha! moment. Sparks Fly when students connect with financial education. School budgets are in effect! There’s a whirlwind of networking, collaborating and masterminding happening now. Teachers are sharing new and improved ways to implement instruction. An exciting school year lies ahead! The New York City schools chancellor, Carmen Fariña, is directing schools to adopt STEM programs (science, technology, engineering and math), to improve outcomes for future employment and an improved personal and national economy. Pretty heavy for a first grader, right? Perhaps. Considering that her pre-schooler grandson showed her how to watch television on the computer, maybe it’s not that far-fetched. Watch the video here. STEM education provides pathways for innovation of what already exists and encourages entrepreneurship. Teachers can utilize STEM programs both during the school day as well as in after school programs. Sparks Fly, financial literacy for you(th) is pleased to provide a financial curriculum for classroom enrichment, training and after school financial literacy programs. 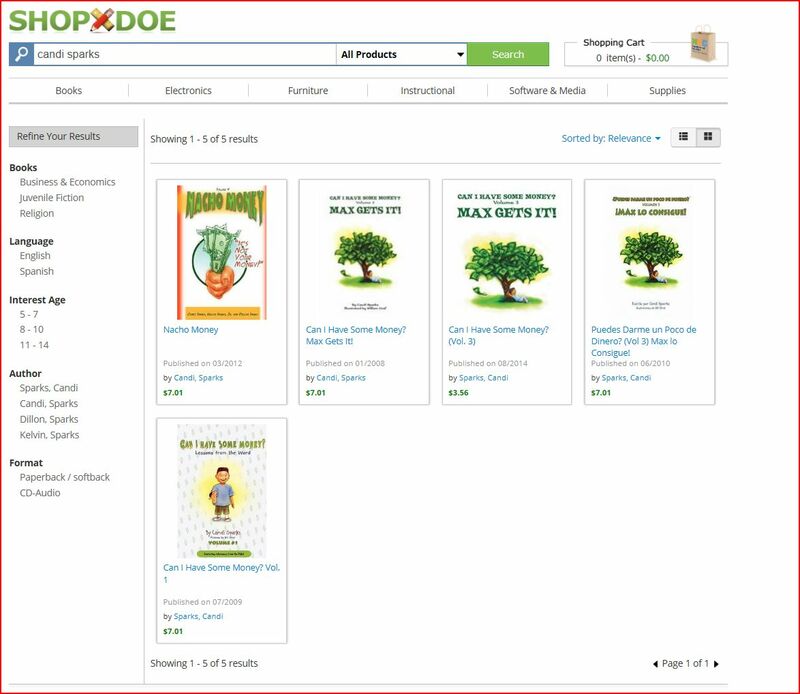 The materials comport to the NY State Common Core Standards and STEM education. The financial literacy curriculum engages students with hands on learning tools to promote money management and entrepreneurship. Sparks Fly texts and materials are used by the NYC Department of Education and community based organizations, Girl Scouts, Boys & Girls Clubs and others. Financial education is a tool for living. Give students a great start with Sparks Fly! Discounts are available. Call 866.556.2432 or email info@sparksfly.org for more information. Summer greetings to those fellow educators who want to soak up the rest of the summer! 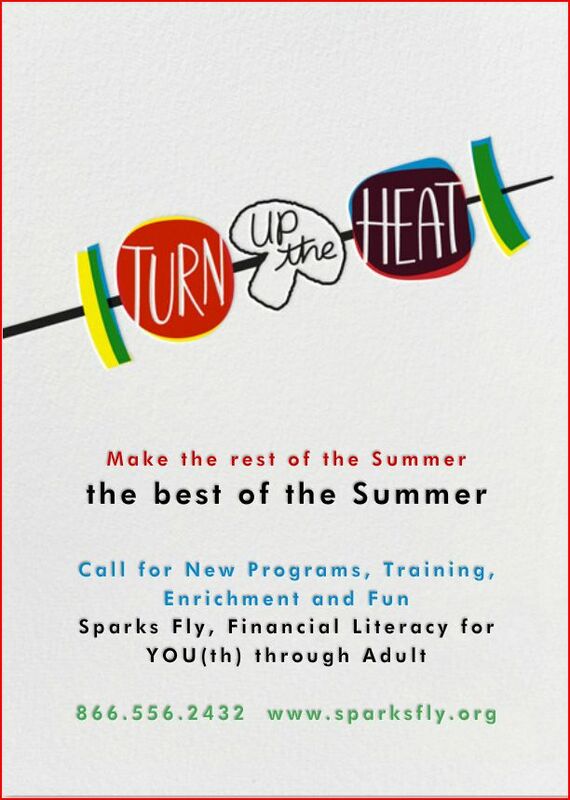 We’ll see you in September with new Financial Literacy for YOU(th) through adult! Piggy banks ruin kids! If that’s all the financial education they ever get. I’m a fan of the piggy bank. But it can really ruin your kids if that’s all you teach them about money. 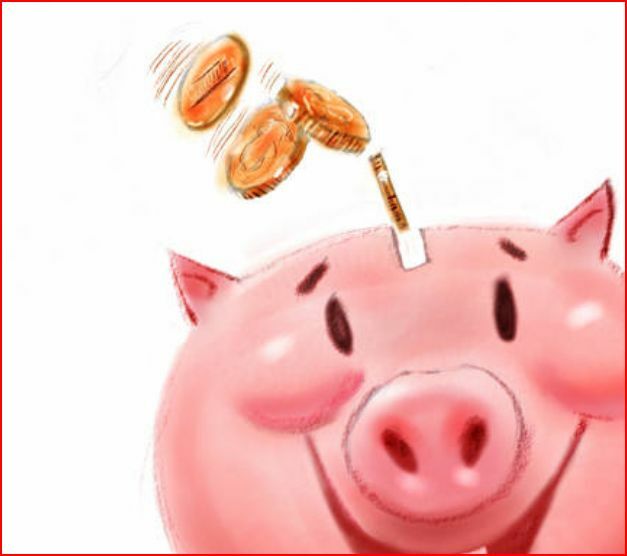 A ‘piggy bank mentality’ is probably the root cause of the most common money problems. What do I mean by ‘piggy bank mentality’? By that term I mean having a put-and-take mentality about money. The money in the piggy bank is going to be spent on something – usually sooner, rather than later. That’s the point of the piggy – a temporary parking spot for a child’s money. The problem is that the piggy bank is not focusing on saving money – it’s more focused on spending it. Sure, money is a tool and it should be enjoyed! And kids need a way to learn how to count money, and how to value the power of spending. Spending is good – that’s what the money is for. But, there are many families living paycheck to paycheck with little to no actual savings, the stability of the family (now) is threatened when an emergency occurs. The future is also compromised for lack of college funds or retirement plans. Don’t let the piggy ruin your kids! Budgeting should include more than living expenses. Put some money on ICE (for use ‘in case of emergency’). Financial plans that include both short-term and long-term goals, will expand the budget and put that piggy is in its proper place. One aspect of financial maturity is learning to have access to money without the intention (or habit) of spending it all. Women and Wealth 2015 happening at Brooklyn Borough Hall on 4/23/2015 for networking, fun and financial information. This event for women only is near and dear to my heart. Financial education is life changing. 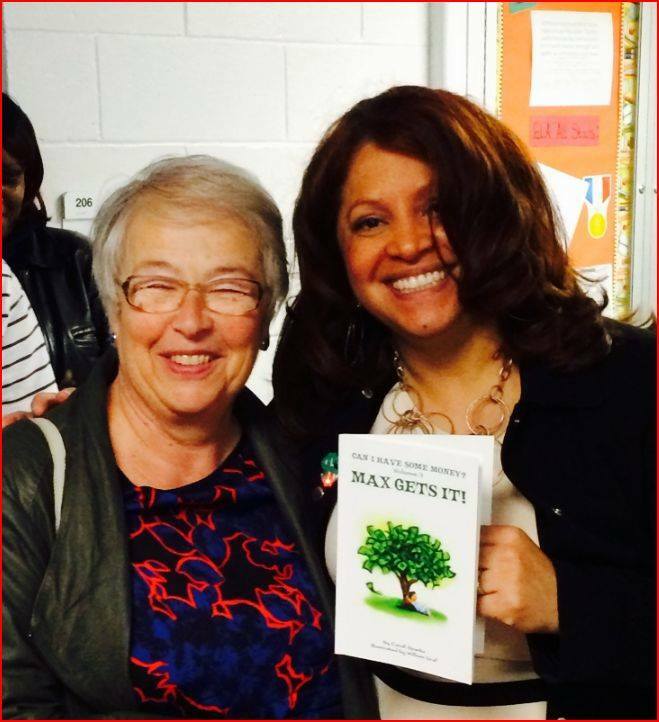 Women can make positive changes to start building wealth and help others do the same! Financial education can benefit women at every age and stage of a woman’s life. We need more events like this! Thank you Borough President Eric L. Adams for making this happen. When: April 23, 2015 @ 6:30 p.m.
We’ve done our part now here is yours! Register online! Please be my guest at the event! Registration is online womenandwealthny.com Please include the name of the person who invited you on the registration. Online registration helps Borough Hall and our corporate sponsors to keep this event free of charge by the number of pre-registrations. We agree. Come with your questions about finance. Everyone is here to learn more about finance. Bring your questions with you about retirement, entrepreneurship, tax strategies or building assets. Make it a goal to find out that information at the event, or by following up with the presenters or person who invited you. You owe it to yourself to get the answer. Be ready to meet and greet! This event is to widen your circle of resources in a relaxed atmosphere. Have a goal of meeting people at the event. Maybe it’s a person whose work you admire, a future business partner, a job candidate, a financial planner. It can even be someone that you would like to help. Circulate. Bring your phone fully charged! You will have the opportunity to connect with amazing women from the New York City area. Come with 100% battery and don’t miss out on getting connected! Don’t forget your materials from the event! No one wants to get stuck carrying a stack of papers around at a function like this, so we can email the presentations to you after the event for your reading pleasure. Throughout our lives we want to know “How can I have some money?” Remember to get your questions about finance answered from the resources available to you at this event. The fortune is in the follow up! The celebration starts at 6:30pm. Do you have what it takes to become wealthy? Not millions, but billions? It starts with having the right mindset. The mindset precedes the money. Compare yourself to these self-made billionaires and see if it’s possible for you. Are you willing to eat garbage? It’s no secret that one of the greatest pop icons of all time, Madonna, was forced to eat out of garbage cans for sustenance, while pursuing her dream of superstardom – which obviously paid off. She gave up the comforts of her hometown for the allure and promise of the big city – New York City. Using a local rehearsal studio for band practice and making demos (mixtapes), allowed her to be closer to those record label executives that would become instrumental (pardon the pun) in her fate. Her early is evidence of her dedication to a career that has carried her (and her fans) for DECADES. Do you have an excellent work ethic? While the average Joe (or Joanne) looks for a 9-5 job, the wealthy are always on the clock because they love what they do. It’s not work for them – it’s more of a mission that must be accomplished, do or die. The normal 40-hour work week is more like a part-time gig for those engaged in building an empire. A 60-80-hour work week is more like it, with working vacations and the need to be connected to the business at all times. That’s a huge sacrifice with a huge payoff. 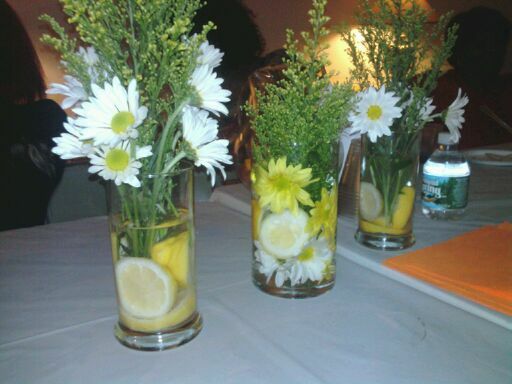 Is your vision crystal clear? The super wealthy are visionaries who can get to the bottom of a problem. When they see a need for a product or service, they go out and create the solution. Many entrepreneurs visualize their goals and dreams, which enables them to sacrifice a paycheck in order to make it happen. They can front load projects with sweat equity, prior to fame arriving and collecting a first pay check. Sara Blakely is one of the youngest self-made female billionaires on the planet. Her SPANX brand shape wear was started on the last of her savings after she tired of working as an amusement park ticket taker and fax machine sales person. Do you believe in yourself and in the universe? The über wealthy have belief in themselves, in their dreams and in the universe at large to bring them the desires of their hearts. Many believe that feelings will manifest their desires. It’s the law of attraction at work. From movie stars, to Mom and Pop success stories, belief is a key factor in making dreams come true. Can you be your own boss? Wealthy people are generally self motivated. They don’t need a boss, or supervision to tell them what needs to be done or when to do it. It seems that Sir Isaac Newton got it right with his First Law of Motion: Bodies at rest tend to stay at rest. The wealthy keep it moving – they don’t have time to rest – they keep doing and keep improving. The is unlike many people, who just can’t seem to get underway simply because they don’t take action. There’s nothing glamorous about struggling. But it’s not where you start – it’s where you finish. With the right amount of belief, sacrifice and dedication – you might have what it takes to make it to the billionaires club. What would you do with a $10,000 24k carat gold bank note? What a great gift! A real conversation starter on money. Currently these gold bank notes are sold via the Internet in domestic and foreign currencies. This type of collectible is also commonly sold via coin dealers. It is marketed as having a lasting value as a collectible or for resale. What if the bank note is not actually a collectible and the marketing claims that it is both rare and collectible is all hype? Any statements about limited numbers cannot be checked. In fact, currency is a money maker – whether it’s a rare coin that is being sold or simply something that is out of circulation like a Susan B. Anthony $1 dollar coin or a $2 bill. 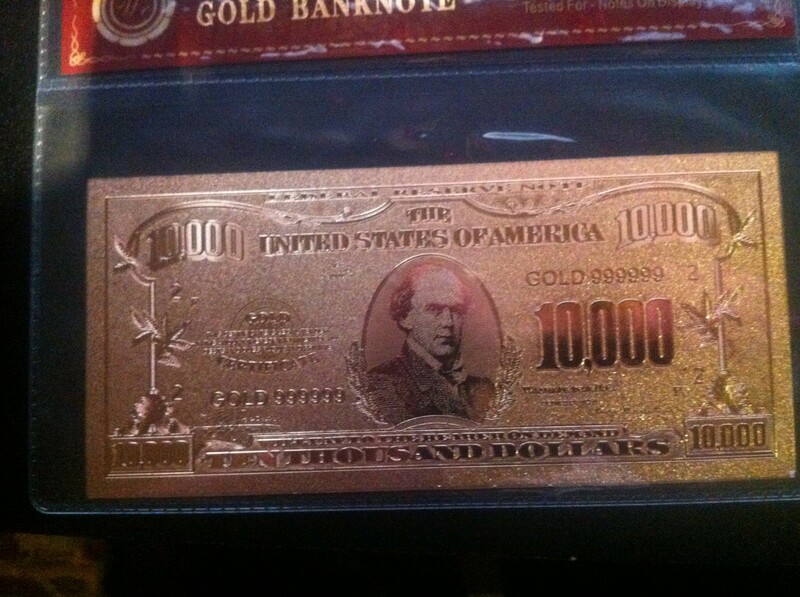 Beyond spending and saving money, it’s also fun to collect money in an unusual amount or form like this $10,000 gold bank note. It would be great to show it to my students and discuss money. What is it? A banknote (often known as a bill, paper money, or simply a note) is a promissory note made by a bank, payable to the bearer on demand. Due to the novelty aspect of the 24k carat gold bank note, and its marketability, it is likely that they are produced in whatever quantities will sell. Preying on people’s desire to have something in gold and their ignorance about what they are actually buying and its true worth is a conversation worth having. Speaking of which, this item is something that is fun and useful in teaching good money management and the value of a dollar. It also looks really good in a frame or acrylic case. It feels like Willy Wonka’s golden ticket. There are an estimated 140 million casual collectors of coins. 15 million to 20 million of them are serious and spend $15 billion to $20 billion according to the U.S. Mint. I will be on the lookout for the next collectible. (of an item) worth collecting; of interest to a collector. The more you count your blessings today, the more blessings you’ll have to count in the future. That’s the science behind how to be happy, healthy and have more friends. And, it’s actual science. What you focus on actually increases. It also increases happiness in others. The starting point is gratitude. Doing a small act of kindness for no reason has a multiplier effect. Kindness is contagious. What about hitting a low point when it seems there is nothing to feel good about? 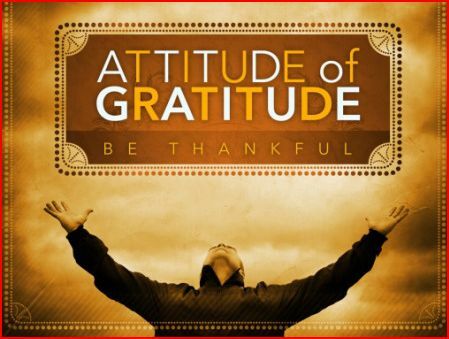 An attitude of gratitude can be cultivated. Often, it is necessary to do so because it is easier to be focussed on lack rather than on blessings. But what is an attitude? To me, it means having a mindset or thought pattern that resonates in the heart. When the heart and mind join forces that creates an attitude. There are a few ways to start creating the attitude of gratitude. Saying prayers of thanks, or positive affirmations are good place. A handwritten thank you letter is always appreciated by the receiver. Anything that refocuses on good things. Gratitude is more than having a positive attitude. It is a deeper level of thought and feeling. This is a values based approach – where even in negative circumstances, a kernel of benefit can be gleaned. Gratitude is a verb – it is the expression of thankfulness. Sometimes your friends drain your wallet. They know when its payday – and they’re coming along for the ride! (Only without gas or dinner money). 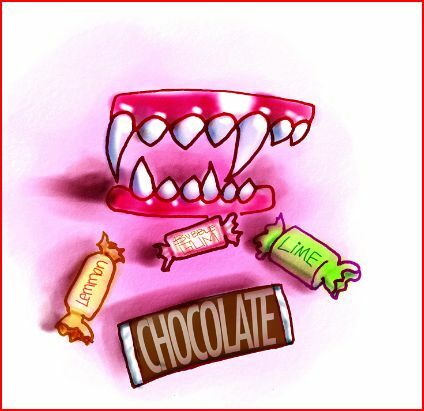 That was the old school version of a financial vampire, the friend that you couldn’t afford. My workshops for YOU(th) delve into financial etiquette as well as financial scams. Young and old alike, are vulnerable to new kind of financial vampire. It’s like there’s an invisible predator, using “technology” to bleed money out of your account. It’s hard to know how to protect yourself, when you don’t know when this kind of theft is happening. But there are things to keep in mind to protect your accounts. Be wary of using ATM’s in unfamiliar neighborhoods – some of these have been discovered to have skimmers attached that steal your information. Be wary of email phishing scams announcing “lottery winnings” of that you are named the “beneficiary” of someone whom you’ve never heard of. These emails are from strangers, usually claiming to be from a foreign country. Don’t take the bait by giving out your financial information. Hackers also break into online accounts and steal identities. Whenever possible, use encrypted programs and use an Internet security software to prevent this. Scan the computer frequently for viruses on a weekly basis. You can also get free credit monitoring tips from Consumer Reports. Retailers can also have their computers hacked for your information. To avoid this problem, pay in cash. Then keep the receipt in case of any problems with the item purchased. The worst story I’ve heard so far concerns homeowners – those with no mortgage. They are vulnerable to someone going online and discovering that the home is owned free and clear and then claiming to be the owner and “selling” the home right out from under the true owner! To prevent this register ownership of the home with the county as the owner of the deed. It used to be that we could who the bad guy was – it was the one hiding behind the tree. Times sure have changed. People with money, plan for this lifestyle change with enough time and money to enjoy both. People who don’t have money think of retirement at an attained age that is set by the government or their boss. We can learn a lot about retirement from Derek Jeter. Although most of us are in a different tax brackets than “the Captain”, we can gain insight on how its done in the big leagues. Some of these tips are even supported by the IRS. Derek Jeter will surely enjoy the empire that he has built over the years. He is engaged in multiple business ventures off the field that will serve as income streams during retirement. 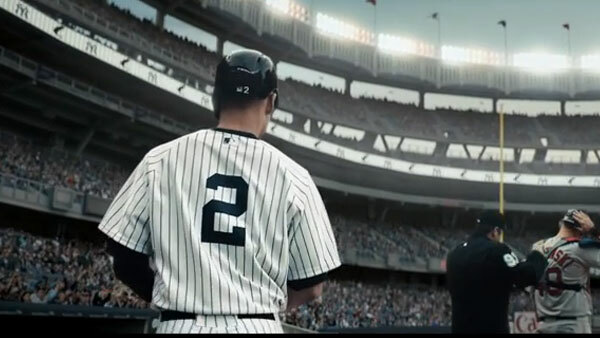 Product endorsements, special appearances and his gym business will continue to provide economic opportunity for Jeter. The “tip” here for the common person is that multiple streams of income are needed for retirement. While some are expecting a social security check for sustenance during the golden years, the IRS has been advising taxpayers that social security is not intended to be the only source of income during retirement. Personal financial resources should also be a part of retirement planning. The Captain has this area covered. Being proactive about health – staying healthy – is one of the best ways to curtail unnecessary expenses. In addition, Jeter said that he is not retiring because he has to… but because it is the right thing to do. This is a great reminder that retirement can be a voluntary decision. With enough resources and a good plan, we can enjoy what life has to offer. Having these resources requires discipline and dedication, which most people are probably capable of developing with the righ guidance. Jeter made it all look effortless, and I look forward to following his “next career”. Summer feels like endless sun and fun, until it suddenly ends! Mine was filled with graduations, relatives, weddings, picnics and WORK – good, positive and productive days, just to make sure I wasn’t having too much fun. There were new books to be written, new clients to be seen, planning for the classroom – and I still had time to dream! In saying “so long to the Summer” I wiped away a tear… then checked in with the “experts” on the end of this special time of year. I hope you all had a great summer – now it’s harvest time! Welcome to the Fall!